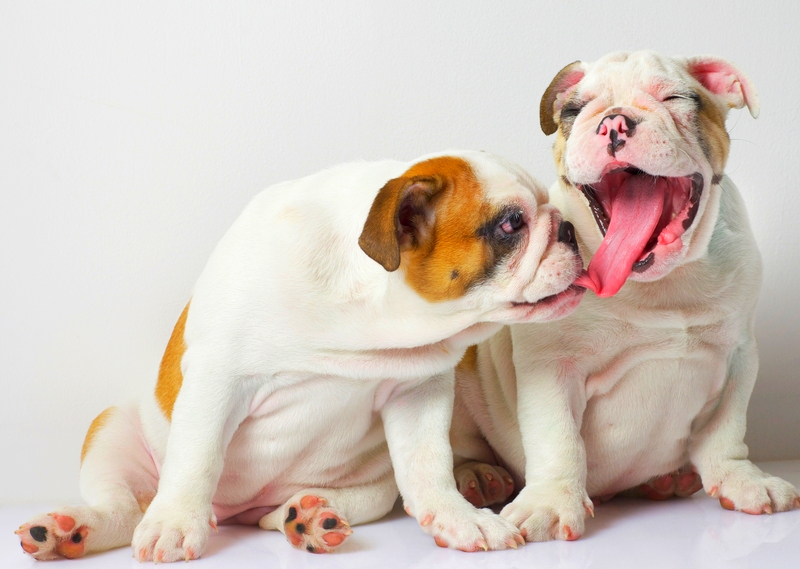 The English Bulldog is extremely popular in the United States. They are usually thought of as the dog appearing in Bugs Bunny cartoons as the mean guard dog living in a tiny dog house. This is farthest from the truth. Most English Bulldogs are as sweet as sugar. They want to be human so so badly but feel that they are trapped in the body of a boxy dog. You can actually carry on a conversation with them. I would always pretend to ask the dog why it came to visit me. They want to be able to talk back but cannot! 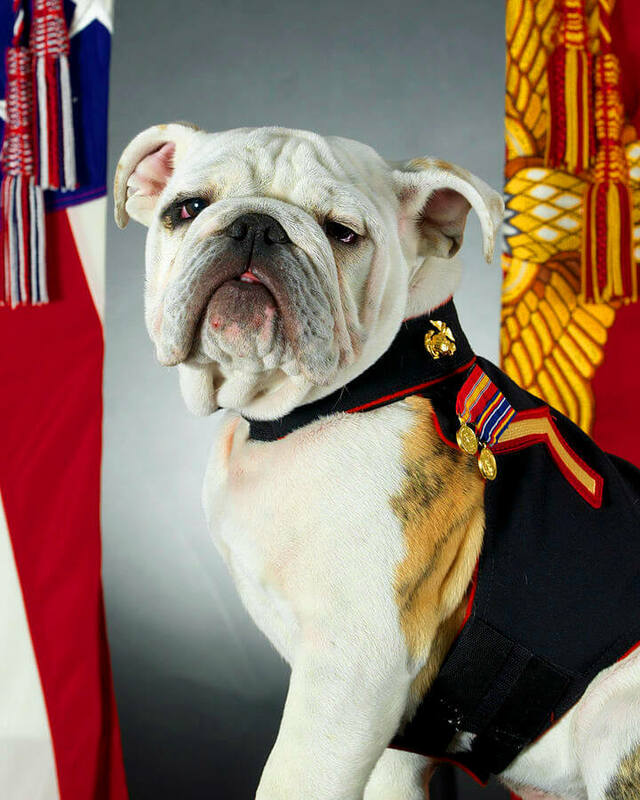 Chesty is a beautiful dog but it takes a tremendous amount of work and money to keep an English Bulldog looking its best. Due to the “anatomical build” of the breed it is the most expensive dog to maintain in the U.S. They require a lot of dedication but are worth every penny. They are one of my favorite breeds! What presence they have. In Ohio, Ace the Bulldog came growling and carrying on just to get my attention. He got worked up after every visit. Then there was Norton, the English Bulldog I worked on in South Florida. I used to call him Snortin’ Norton. He was about as close to human as any dog could get! THE PROBLEM WITH THAT LARGE HEAD! 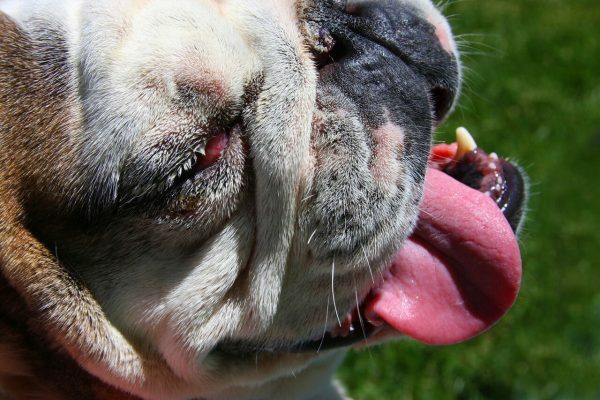 The English Bulldog has a head structure that is called brachycephalic. 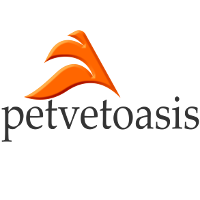 This type of head structure is shared with the Pug and Persian cat. It is structured that the sinus cavities are so contorted that airflow meanders around and around. The end result is that regular breathing is a big ordeal for the Bulldog. This respiratory problem causes it tons of medical problems. All dogs have an inferior cooling mechanism compared to humans. Outside of the Chinese Crested breed, all breeds of dogs do not have sweat glands in their skin. They depend upon panting to rid the body of excess heat. The English Bulldog has it much worse. Due to its anatomical issues the breed is intolerant to heat! In hot weather it has to be kept in air conditioning. Just walking it outdoors in hot weather can send it over the edge into heat exhaustion. It gets worse. All mammals have a soft palate. It resides in the upper part of the throat (pharynx) behind the hard palate. Unless proven otherwise, ALL English Bulldogs have an elongated soft palate. This can swell in respiratory distress leading to a tracheal obstruction! That is not good. The best corrective route is shortening the soft palate by laser surgery. Just look at any English Bulldog. They have tons of loose skin folds covering their face. This makes them ultra cuddly but they cause problems. It is moist and humid between those skin folds. This makes them susceptible to bacterial and yeast infections. The solution is to frequently employ wipes specifically made for this condition. They all contain ketoconazole, a safe anti-fungal agent. Separate the folds with your fingers and clean between them. It is clearly visible that this Bulldog is not comfortable. Squinting is just one sign of discomfort. Take a look at the inflamed and swollen conjunctiva in the right eye. Excessive tear secretions can also be seen on the eyelids. All of these conditions can be treated medically and or surgically. AS ROBIN WOULD SAY TO BATMAN….HOLY CESAREAN! A lot of people wonder how that big head of theirs can pass through the birth canal of a female English Bulldog. That is a very good question. Most times they cannot. That brachycephalic head is so large that it is next to impossible to have a successful vaginal delivery. One of the reasons why the English Bulldog costs so much is that most of them are delivered by Cesarean section. It is an expensive procedure. Most breeders will schedule the Cesarean section just like a woman would. Ultrasounds are used to guide the delivery (surgical) date. The bulldog is large and tends to get overweight after having been surgically altered. This makes both male and female dogs prone to lumbar and back pain. That added weight also can lead to an earlier onset of arthritis. Large dogs such as the English Bulldog are also predisposed to heart conditions such as cardiomyopathy. The large size of the bulldog also means that medical and surgical procedures are going to cost more as greater quantities of any drug are needed compared to treating the same condition in a toy breed. Anesthetics also cost more. Many veterinarians that do a lot of surgery on English Bulldogs will use sevoflurane as an inhalant anesthetic. You want these dogs to wake up real quick and sevoflurane fits the bill. As you can see there is a lot of work and expense taking care of any English Bulldog. It is definitely worth the investment when compared to all the pleasure you receive from owning them.